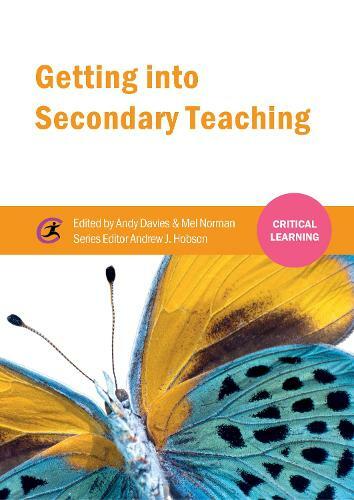 This book is essential reading if you are considering making an application for secondary initial teacher education or preparing to begin your programme. It introduces you to a range of perspectives on teaching and teacher education and guides you through the application process to ensure you choose the training route that's right for you to achieve a successful outcome. Key chapters cover pathways into secondary teaching, professional learning, developing as a subject specialist, classroom management and working with young people. Useful features such as jargon busters, progress checklists and case studies make the material accessible and help you navigate the `new landscape' of teacher education. In addition the text encourages you to reflect critically on your school experiences of learning and teaching and uses example of theory, research and practice to help you develop an informed stance on important themes within secondary education.